Dylan Taft 's rapid rise to prominence in Ulster County NY real estate sales is easy to understand. It starts with his encyclopedic knowledge of the area, the kind that nothing short of living your whole life in the Hudson Valley can provide. And it ends with his thorough and intuitive grasp of the cutting-edge technology that is transforming the buying and selling of homes. He is a new breed-old-school values in a visionary, Digital-Age businessman, the first generation of a new type of broker. Dylan's Ulster County roots are as deep as roots can go. A product of the local public school system, from which he graduated with honors, he went on to a B.A. in economics from SUNY Oneonta and a Masters in Business Management, with honors, from SUNY New Paltz in 2003. Global travel during those early adult years only strengthened his commitment to his lifelong home as he developed a growing conviction that the majesty of the soaring Catskills with their endless Huck-Finn-style rivers and fishing creeks, sleepy small towns, and bustling, sophisticated urban centers, offered a richly varied lifestyle second to none. He knew he would come back and start a local business of his own as soon as he could. That vision was realized 2008 when Dylan boldly launched Taft Street Realty in the face of the worst economic downturn this country had seen in nearly a century. Young and ambitious, he believed that despite the discouraging business climate-perhaps because of the discouraging business climate-there was a need for a real estate brokerage using a whole new model. It would offer buyers and sellers the traditional and time-honored benefits of local knowledge, in-depth research, experience in skillful negotiations, and frank and fair dealings. But it would then go an important step further, bringing those benefits into the Digital Age by employing and exploiting every possible avenue of web-based research and marketing. Given his young years, Dylan has never lived in a world without the Internet. So unlike most other brokers, he knows instinctively how to make today's rapid-fire information technology work hard for him. And for you. 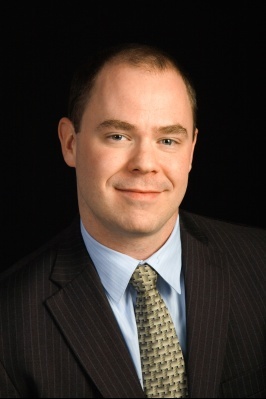 Dylan Taft is today's tech savvy real estate agent in Ulster County NY! Today, just a short time after Dylan launched it from the ground up; Taft Street Realty is already ranked among Ulster County's top real estate firms. His clients have come to know and respect a professional who holds nothing back when it comes to the giving of his knowledge, his skills, and his time, and who does it all with scrupulous fairness and honesty, as well as firmness and frankness whenever the occasion calls for it. He explains the success of Taft Street Realty in the simplest of terms: "I always keep my clients' best interests in mind."